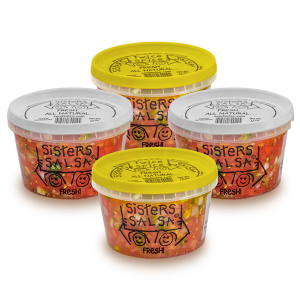 In 1995, Sisters Salsa began as a home-based business in scenic Blue Hill, Maine, and then moved to Rockland. In February of 1998, the company was bought by Jim Buddington, moved back to Blue Hill and expanded to a high-quality, production-oriented adventure. 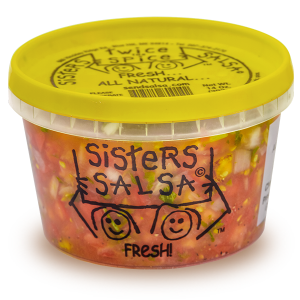 The salsa line of foods was produced in the Left Bank Café until Sisters Salsa’s new plant was completed in May 1999. 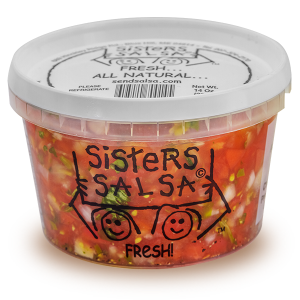 Sisters Salsa fresh food products are available in over 100 locations from Bar Harbor, Maine to Nashua, New Hampshire and beyond, as well as most Hannaford and Whole Foods stores in the northern New England region.